The Battle of Westerplatte was the very first battle that took place after Germany invaded Poland and World War II began in Europe. 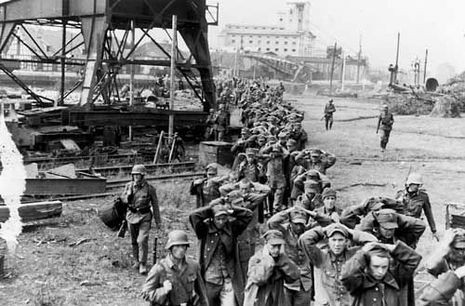 During the first week of September 1939, a completely surrounded Military Transit Depot (Wojskowy Skład Transportowy, WST) on the peninsula of Westerplatte, manned by only less than 200 Polish soldiers, held out for seven days (several times longer than they were ordered to) in the face of an overwhelming force of thousands of German troops attacking from land, sea and air. 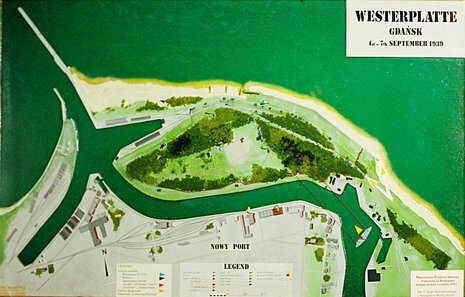 The heroic defense of Westerplatte served as an inspiration for the country when the successful German advances continued elsewhere in Poland and nowadays is still regarded as a symbol of the invasion. Gdansk's picturesque Westerplatte peninsula has the unhappy distinction of being the site of the official start of the Second World War. 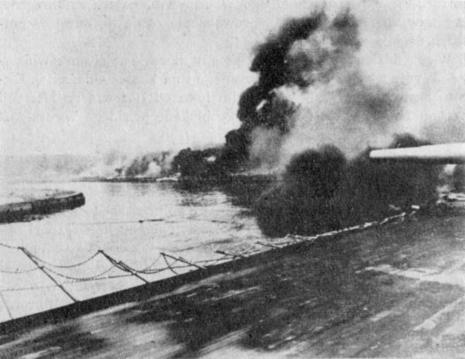 A small forested island separated from Gdansk by the harbour channel, Westerplatte was established as a Polish military outpost during the interwar period, equipped with one 75mm field gun, two 37mm antitank guns (slightly mystifying for a coastal defense), four mortars and several medium machine guns, but lacking any true fortifications. 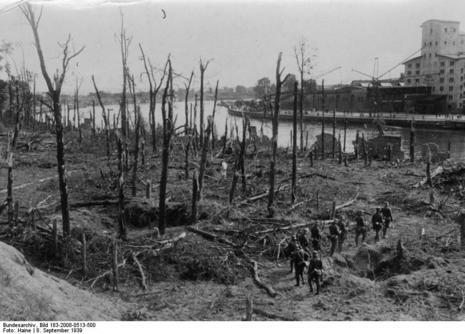 By the autumn of 1939, the Polish garrison occupying Westerplatte comprised of 182 soldiers expected to withstand a potential attack for twelve hours.